Are you looking for an easy and affordable way to add value to your home? Then you need to consider upgrading your exterior doors. The 2015 edition of the “Cost vs. Value” report from the National Association of Realtors and Remodeling Magazine lists home renovations that also retain a large portion of their value at retail. The final results showed that replacing your front doors brought the most value to the home. According to the survey, installing new front doors could help you recoup between 72 to almost 102 percent of the total cost of the project. This means that depending on the type of door that you install and how much you pay for it, you can actually wind up making money back just by upgrading your home with new entry doors. The report showed that entry door replacements are not only the best value for home improvements but also a growing trend in the industry. No single home improvement project showed a greater growth in value over the previous year than installing new front doors using steel. Doors using fiberglass also showed an increase in value over 2014. If you have been thinking about installing new exterior doors at your home, this information gives you even more reason to start the project. Putting in new entry doors not only adds curb appeal to your house but serves as an upgrade that will provide security for years. By searching the inventories of leading door manufacturers, you can find deals on high-quality front doors that will immediately add style and value to your home. 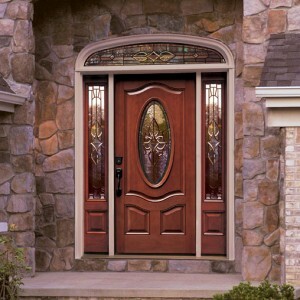 ETO Doors provides customers with one convenient location for purchasing new interior and exterior doors. Their styles are ideal for modern homes as well as traditional styles.